What Do Agents and Publishers Really Want? In my career as an author I’ve faced every challenge you’re facing. Having had ten novels published, with sales of over half a million books, I know what agents and publishers are looking for, what they want—and don’t want. But what is the mysterious literary essence that really hooks a reader and doesn’t let them go? I offer this one-word answer: emotion. Character creation, story structure, and style are not ends in themselves. They are merely tools to produce the result we want: a meaningful emotional experience for the reader. Because when characters in a story move readers to pity, or laughter, or loathing, or dread, or just the simple warmth of human fellow-feeling, that’s what makes them keep turning pages. They crave to know: What’s going to happen to these people? They care. So, whether you’re revising your story or just starting it, focus on this guiding mantra: Make Them Care. 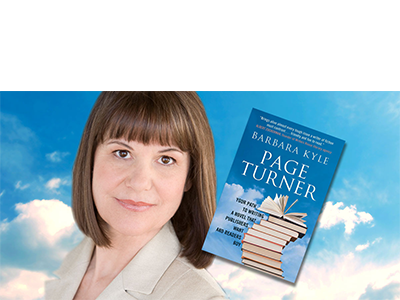 You’ll find a deeper analysis in my book, Page-Turner: Your Path to Writing a Novel that Publishers Want and Readers Buy – available as a paperback, an e-book, and an audiobook. It’s packed with insights, inspiration, examples, and tips to help you create a page-turner.